Sunny Isles Beach condo inventory today reflects 1,746 total condos for sale and 120 closed sales in the last 90 days with a median sale price value of $311 per square foot. With excessive inventory available, condo prices have declined in our local market as we find in the most recent Sunny Isles Condo Index. Oceanfront residential market values noticed considerable price gains over the eight years spanning from 2009 to 2016. From early 2016 to now in 2019, we find ample supply with limited demand in this strong buyer’s market. For instance, dividing 40 condo sales over the last 30 days into 1746, we find a 43 month supply whereas a healthy market is 6 to 9 months of inventory. Not just new developments but Sunny Isles Beach condo resale inventory has been on the rise, especially within the ultra high-end segment at $5M+. In addition to the residential condo market shifting since 2016 in favor of buyers, we’ve also noted the gorgeous new construction on the South side with JADE Signature development and on the North side with MUSE. New construction has taken over Collins Avenue with $5M+ oceanfront (resale) median list price values at $1,590 psf and as high as $4,155 per square foot. Last year, 242 Sunny Isles oceanfront condos sold (over $500,000) with an average sale price per square foot of $600 and at 91% of list price. In the last 90 days, there have been 42 Sunny Isles Beach condos sold (over $500,000) with an average sale price per square foot at $690 psf (SP$/PSF) or a ~13% appreciation. Of those 42 sales, it has taken the seller 199 days to sell. In a similar comparison of luxury oceanfront condos on Collins Avenue and available over $5M, we see 87 condos for sale today averaging $1,766 per square foot with an average list price of $9.661M; Sold Condos priced $5M+ noted just 2 sales in 2019 with the Median sale price value at $1,524 psf. Of the two sales, the Jade Signature Penthouse set a new area record as we will see below. Values will climb again with time, but for now, the market is in strong favor of the buyer with exceptional value. Reviewing The Top 10 luxury condos sold within the last 90 days, we find an average sale price per square foot of $955 and an average asking price per square foot of $1,125 psf; a 15% discrepancy in what sellers want vs. what buyers are will pay. Chateau Beach Sold #1203 combined with #1403 at $712 psf and a 2nd #902 selling at $2.3M/ $681 psf. JADE Beach (17001 Collins Avenue) has ongoing construction as concrete restoration resumes to the East side of the building with an anticipated timeline of approximately this year to complete. With this Jade Beach restoration, we’ve experienced ongoing construction debris & noise nuisances which have impacted values both for rent and resale. The major short-term concerns are the East side terraces and swimming pool completely closed off with a blue translucent film covering the glass and limiting the desirable ocean views. The Westside is reopened with the small pool and west side terraces available again for use. This construction has created a major damper on renting as tenants simply don’t have the mental capacity and patience to deal with concrete restoration, limited views and the inability to use their terrace and pool. It will be interesting to see rental & resale values continuing throughout this year as super low values have been noted for both rentals and resales. While short-term concerns have many alarmed, savvy buyers with a long-term outlook see past the noise and towards the future upside of Jade Beach and Sunny Isles Beach. All of the tenants that rented with me last year have been well-pleased, even with the construction. Jade Beach today has 40 resales (16% inventory) available today ranging from $789,000 (B1 Model) to $7.5M for a ‘Sky Villa’ (Two D2 models combined). The most impressive 3-Story ‘Sky Loft Penthouses’ both sold in 2015. Jade Beach condos offer one of the most attractive Collins Avenue locations plus excellent value when seeking the oceanfront lifestyle experienced only in Miami. The average JADE Beach list price per square foot reflects $985. There are 40 resales from $789,000 (B1 Model) to $7.5M (Combined D2 Models). JADE Beach condos sold in 2018 reflect 10 sales at a median sale price value of $818 PSF and 178 days on market. The median selling price per square foot in 2017 (7 total sales) was $877 at 243 days on market. The median selling price per square foot in 2016 (8 total sales) was $1,010 at 219 days on market. The record high sale price value of 2018 is $1,003, 2017 at $1,014 PSF — $1,129 PSF in 2016, $1,378 PSF in 2015, and $1,190 PSF in 2014. As of MAR 2019, there are 12 JADE Beach condos for rent ranging in asking prices from $3,400 (B1 model) to $17,000 (D2 Model). In 2019, 6 Jade Beach condos have rented, ranging in values from $3,000 (B1 Model) to $6,500 (C Model). JADE Ocean (17121 Collins Avenue) stands among the elite luxury condo towers of Sunny Isles Beach. 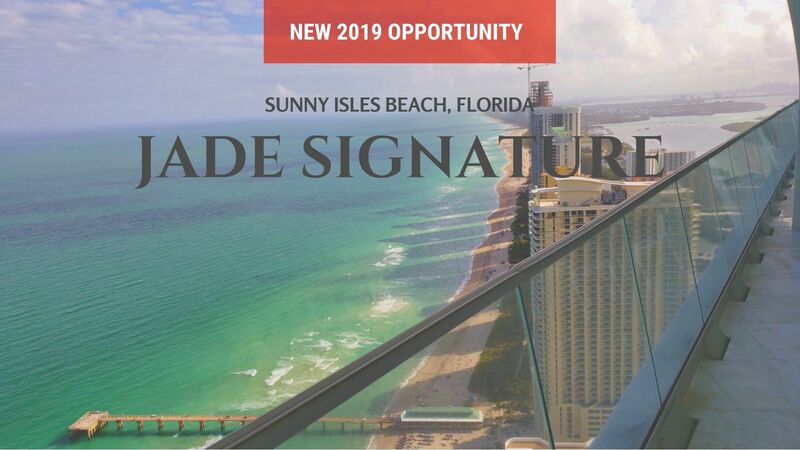 JADE Ocean has 52 (21% inventory) condo resales available today with a few extraordinary penthouses and “Sky Lofts.” Interiors on these JADE Penthouse condos range from 4 to 5 Bedrooms and from 4,300 to over 6,500 square feet. There are only 2 mirrored image ‘Sky Lofts’ (per Model) in each JADE Condo building, and very few penthouses can compare along Sunny Isles Beach. Today’s resale prices at Jade Ocean begin with 1 bedroom condos (B1&B2 floor plans) from $795,000 with larger 6 bedroom options as high as $5.850M. While some prefer JADE Beach as a place to call home, JADE Ocean condos have consistently sold (& leased) at a higher price point offering clear advantages to many. The average JADE Ocean list price per square foot is $1,145 psf. 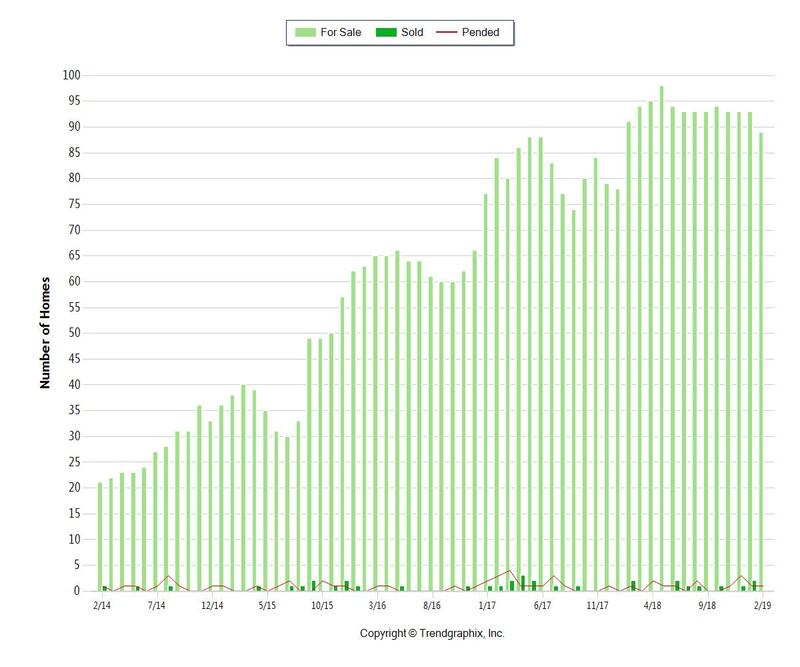 There are 52 resales from $795,000 (B1 Model) to $5.850M (3904/05). The median selling price per square foot in 2017 (11 total sales) was $991 PSF at 216 days on market. The median selling price per square foot in 2016 was $1,087 at 137 days on market. The record high sale price value is $1,167 psf in 2018, $1,169 PSF in 2017, $1,267 PSF in 2016, $1,513 PSF in 2015, and $1,397 PSF in 2014. There are 22 JADE Ocean rentals listed in MAR 2019 with prices ranging from $4,450 for a B1 Model to $24,000 for a (2-Story) beautifully furnished D2 Model. In 2019, 2 condos rented ranging in values from $4,500 (Furnished B1 model) to $6,200 (Furnished B2 Model). JADE Signature (16901 Collins Avenue) was completed early in 2018 and I’ve been excited about this signature addition along Sunny Isles Beach. Jade Signature offers spacious floor plans and desirable open outdoor living environments. With the details, completion, and closings now behind us, there are many listed as resale opportunities. The discounts and new 2019 deals have begun to show after this 1st year as speculators and their representatives begin to learn true market values from price reductions and lack of results in selling. On the flipside of that statement, a Jade Signature Penthouse #5503 just sold for $18.5M ($2,015 psf). 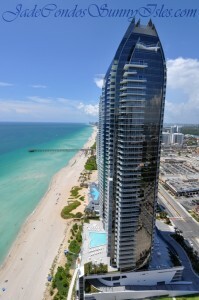 Just like Porsche Design Tower, Jade Signature will continue to show awesome value for the area. Why? A healthy building is considered less than 10% – today Jade Signature has 68 units or 35% available with many owners soon becoming landlords. My information is not always easy to digest but most importantly, I am honest and given my analytical approach, quite accurate. With now seventeen years experience brokering South Florida real estate, I’ve gone through the bubble burst of 2006-2009 successfully assisting many pre-construction buyer/speculators to make the right move… rinse & repeat now in 2019. Jade Signature Condos are quite spacious and I am extremely bullish on the long-term success and future demand. The pre-construction “specialists” who’ve sold this beautiful development are done celebrating. So now, in 2019… its time to deliver on their promises for profit. Enjoy the condo, it is spacious and beautiful! Try to be the best-priced unit in your tier as the 2019 condo market dictates ‘real’ market values – any loss will hopefully be offset by currency conversion. Today’s new pricing has a median list price per square foot of $1,408 psf. My forecast for upcoming 2019 resale values is approximately $1,200+. Although the PH sale set an area record, this will not be the case on the majority of resale units. See ‘Top 10’ Sunny Isles resale values above. There has been 1 resale noted this year on PH #5503 selling at $2,015 psf setting a new area record at $18.5M. 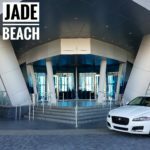 Jade Signature Rentals consist of 15 options ranging in values from $6,000 (1 BR) to $19,900 for a 5 Bedroom. Last year, 11 condos have rented from $7,000 (1 BR) to $20,000 (3 & 5 BR). Contact me here to discuss a strategy whether buying, selling, or leasing for an optimal game plan this new year. Be sure to join the VIP group for monthly market insights, South Florida news, and exclusive coastal properties – covering Sunny Isles Beach, South Beach, Miami Beach, Aventura, Bal Harbour, Bay Harbor Islands, Surfside, North Bay Village, Hollywood, Brickell, Downtown, Wynwood-Edgewater-Midtown, Key Biscayne, Bay Harbour Islands, Coconut Grove, Coral Gables, and coastal Fort Lauderdale (East of US1).